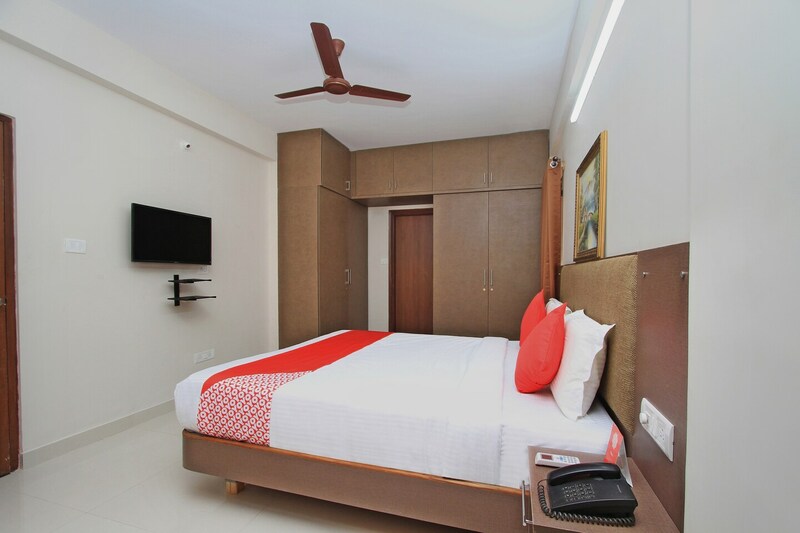 Hotel Varcity Sapphire offers its guests a comfortable and aesthetic stay in the city of Bangalore. Rooms in this hotel are spacious and adorned basic furniture. Each of this furniture and decor is kept modern along with a rustic look. The window within the room provides optimum sunlight and ventilation while highlighting the sharp features of the room. The painting against one wall stands out since it adds a homely touch. A geyser is also provided within each of the rooms. The hotel premises have CCTV cameras for security purposes. Some other features include power backup and lift facilities.